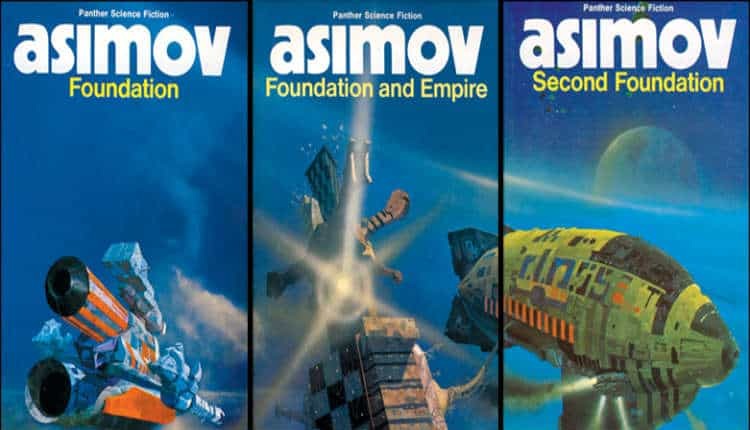 Asimov's Foundation Getting TV Series via Apple | Nerd Much? It looks as though Apple’s dip into the television waters continues. 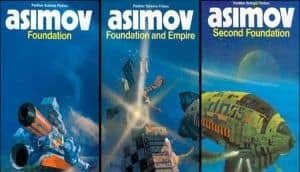 The company has reportedly agreed to finance development of Isaac Asimov’s Foundation book series with some notable names attached. The core book series is comprised of a trilogy, with Foundation being the first published in 1951. Foundation and Empire followed that in 1952. And Second Foundation rounded out the original trilogy in 1953. The series revolves around a Milky Way under the rule of the Galactic Empire. Hari Seldon is an ingenious mathematician who predicts the fall of this Empire’s reign. This leads Seldon to form a group known as The Foundation to ensure the preservation of human knowledge and ensure their ability to rebuild upon its demise. Foundation has been a property floating around for some time. HBO acquired the rights in 2014 following a few failed film ventures. They hired Jonathan Nolan to produce and write the series for the network. That never materialized, of course, and Nolan is now co-running Westworld for HBO. Enter David S. Goyer and Josh Friedman. The duo will serve as co-showrunners on the Apple/Skydance project. David Ellison, Dana Goldberg and Marcy Ross are in the roles of executive producers for Skydance’s portion of the project. Goyer in particular has a stacked resume behind him. He’s written a plethora of substantial projects throughout his career. He wrote both the Blade trilogy as well as The Dark Knight trilogy. He’s also penned Man of Steel and co-write the pilot episode of Krypton. As far as Apple goes, they continue to build a library of original programming of late. Many of which are straight-to-series orders. The first of which is being called a morning show drama. It’s executive produced by and stars Jennifer Aniston and Reese Witherspoon. Apple has already given it a two season order. There is also a remake of Steven Spielberg’s Amazing Stories coming from Apple. As is a space drama from Ron Moore, a comedy from Kristen Wiig, a psychological thriller from M. Night Shyamalan and more.